Subscribe now and get your Free 30-Day Trial US Proxy Account. Limited Time Offer. Order Now and Receive a Free UK Proxy Server together with your US Proxy Server. Start watching US TV in minutes. These terms of service listed below are the contract between you and UKProxy.tv. Please read them fully in order to understand how you can use our service. They apply to all visitors, users and others who access UKProxy.tv websites and services. You can use our service only if you agree with the terms of service listed on our website. By using our services you agree to be bound by these terms of service. Please note that the service is provided without warranties and with limitation of liabilities. Please read on for details. Also note that we reserve the right to change or to replace the terms of service as our service is changing over time. Last change is documented at the beginning of this page. If you do not agree to these terms you must cancel your subscription and you must stop using the service. UKProxy.tv is a �proxy service� that allows you to access the internet via a proxy server. In order to be able to connect to our servers you will have to get an account either by subscribing to the service on our websites or request us a trial account via email. You will need to use the account in order to configure and use the service on your device. 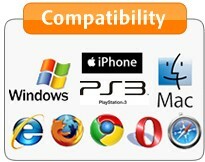 You can configure and use our service on all your devices. Please follow the specific setup instructions from our website if they are available for your device. Currently we do not provide software to be installed on your device in order to access the service and we do not meter the data transfer but nevertheless you will have to make some configurations of your device before being able to access the service. The devices and infrastructure (network connection and internet access) needed in order to use/access our service are only your responsibility and may incur additional charges that you will have to take care of. The services/content that you may access via our proxy service may incur additional charges that you will have to take care of. They may also be subject to specific terms of service designed by their providers. When signing up for our service, you agree to provide true and accurate information and you agree to maintain it over time. You also understand that you are solely responsible for all activities that are done through your account for safeguarding your account details. You must not use the service for illegal purposes, to threaten, to harass other persons or to harm, damage, hack the service or other networks. You cannot sell/resell your account or other accounts for the service we are providing. You�re not allowed to access another user�s account without permission. Please note that by using our service you are aware and you agree that we may disclose information about you, your communications in order to comply with the law or respond to lawful requests or legal process. We do not sell the data to others. We collect very little information about users and we do collect data in order to be able to operate our service. We collect the following information: username, email address, PayPal account, billing information. This allows us to identify you, to create your account and to communicate with you when needed. We also collect on our server logs your IP address and various information about your access session like connection date and accessed page. Please note that oldest logs are periodically erased. We also receive information about what device and software are you using to connect to our service (e.g. : device/ OS/ browser). We collect all this information in order to be able to maintain and improve our service like balancing the servers load, etc. We do not sell or make public the information to others. As already mentioned we will disclose or share information in case of legal requests or in case we believe that is necessary to take action against illegal activities. We use the standard technologies on the web to protect you data like SSL encryption. We take reasonable measures in order to protect your data and our systems, however on the internet data cannot be guaranteed to be 100% secure. Therefore you acknowledge that you accept to transmit your data at your own risk. During registration you will choose the duration of contract. You may opt for a limited term contract (e.g. : 1 to 12 months) or for a recurring subscription. (e.g. : 1 to 12 months) This means that there is no recurring subscription and the contract stops automatically at the end of the period. And that you will be billed only once at the beginning of the period. Finally at the end of the chosen period the service will stop. 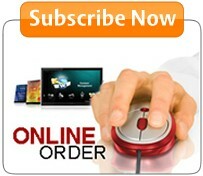 recurring subscription This means that a new payment will be requested according to the subscription you picked. Please note that we consider as the start date of the contract the day when we are sending the account activation email. This will happen only after you register with us. You may stop using the service at any time via email request to our contact email address. We reserve the right to suspend your account or cancel your subscription without prior notice, without a cause and without incurring liability of any kind from your side. The service is offered with limitation of liability up to the full extent permitted by the law. The suspension or termination of the account will not constitute a reason for a refund. Refunds can be requested via email in the first 7 days after the start of the service without the need of a specific reason for a refund. Additionally you can request a complete refund in case our service is up and running for less that 90% of the duration of one month of normal operation conditions. Please note that in case of exceptional situations like natural disasters, civil or political unrest, authorities request, prolonged power interruptions or communication line interruptions are not considered normal operation conditions. In such exceptional situations we will analyze each request and we may not grant a refund. We reserve the right to change your account ID and or password at any time without prior notice. The service allows the access to other websites, services and content on the internet. You acknowledge that we are not responsible for the full compatibility of our service with the websites, content and services that you are trying to access. We are also not responsible for the functioning and eventual damage that those services may occur. You are solely responsible for the services/content that you access via our service. We provide the service as is, we cannot offer any warranties that the service will be without faults, uninterrupted, free of harmful components, of satisfactory quality or fully compatible with your devices, other services or content that you use together with our service. We will contact you in matters regarding payment, your account status and in order to provide information regarding our service. Please contact us via email for technical support or any other request that you might have regarding your account.